South Pacific Event homeCustomer reviews HamiltonThe PromNetworkTo Kill a MockingbirdKiss Me KateHadestownOklahoma! Lincoln Center Theater presents the iconic Rodgers and Hammerstein musical, which is returning to the New York scene in its first-ever Broadway revival. South Pacific concerns the lives of U.S. military men, nurses and the residents of the Polynesian island they occupy during World War II. Nurse Nellie Forbush is "In Love With a Wonderful Guy," a French planter with small children. Clean-cut Lt. Cable has fallen hard for Bloody Mary's daughter Liat. 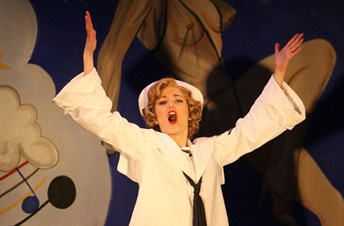 And the seabees, sailors and marines will tell you that there is "Nothing Like a Dame." The show's gorgeous score also includes "Cockeyed Optimist," "I'm Gonna Wash That Man Right Out of My Hair," "Some Enchanted Evening," "Younger Than Springtime," "Honey Bun" and "This Nearly Was Mine." 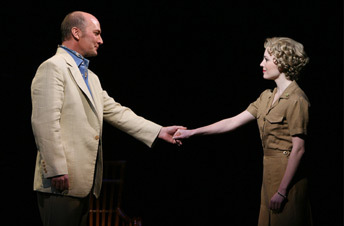 Winner of 7 Tony Awards! Sound good to you? 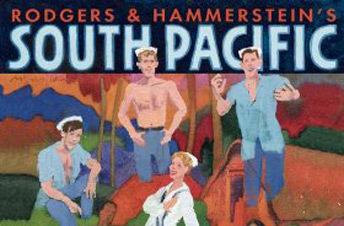 Share this page on social media and let your friends know about South Pacific at Vivian Beaumont Theater. 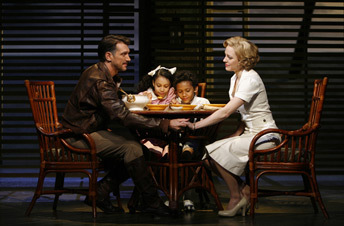 Please note: The term Vivian Beaumont Theater and/or South Pacific as well as all associated graphics, logos, and/or other trademarks, tradenames or copyrights are the property of the Vivian Beaumont Theater and/or South Pacific and are used herein for factual descriptive purposes only. We are in no way associated with or authorized by the Vivian Beaumont Theater and/or South Pacific and neither that entity nor any of its affiliates have licensed or endorsed us to sell tickets, goods and or services in conjunction with their events.